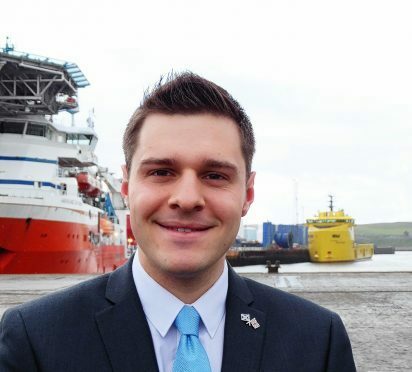 Labour’s general election candidate for Aberdeen South has called on his Tory rival Ross Thomson to step down as an MSP. Callum O’Dwyer also criticised Douglas Ross, the Conservative standing against SNP deputy leader Angus Robertson in Moray, on the same grounds. The 25-year-old oil and gas engineer, who was born and raised in the north-east, insisted the pair should not “hedge their bets”. A Tory source confirmed Mr Thomson and Mr Ross – as list MSPs – did not have to stand down, but insisted both would do so if elected. Mr O’Dwyer commended John Lamont, previously MSP for Ettrick, Roxburgh and Berwickshire, who has resigned to focus on fighting the Conservatives’ top target Westminster seat in Scotland. If he fails to win Berwickshire, Roxburgh and Selkirk, which covers much of the same area as his Holyrood constituency, he will have no seat in either parliament. Mr O’Dwyer said: “John Lamont has rightly stood down as an MSP to contest the Westminster election. “He knows that representing his constituents in one parliament is a job enough. “That is why I find it extraordinary that Ross Thomson will continue as an MSP. “If he was truly committed to the voters of Aberdeen South, he would stand down, and not hedge his bets. “And the Tories have form – Douglas Ross is running to be an MP in Moray, despite already being an MSP and a football referee. A spokesman for the Scottish Conservatives responded: “Given Labour’s losses in Aberdeen on Friday and the well documented problems facing the party’s Moray candidate, it is little wonder they are resorting to mud-slinging. “It is clear that Labour are not at the races in Aberdeen South or Moray. Callum McCaig, Aberdeen South MP until parliament was dissolved last week, is standing again for the SNP, as is Mr Robertson, who has twice defeated Mr Ross in Moray. The party insists only a strong team of SNP MPs will “keep a much-needed check on the Tories at Westminster”.